Spring Engine - Ready for prime time? 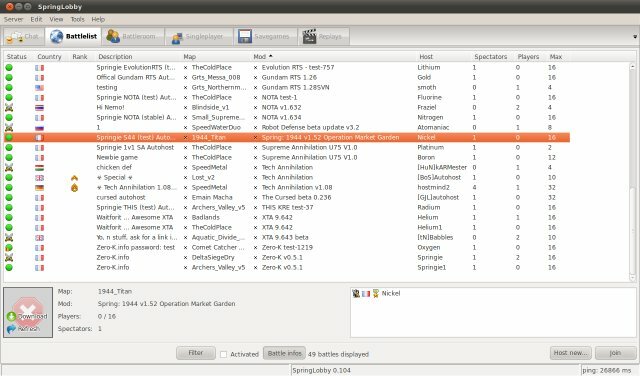 Greetings, dear gamers, let's talk about Linux gaming! So far, I've given you ten lovely compilations, a handful of single game reviews and we've also battle tested The (vastly popular) Humble Indie Bundle, part 1 and part 2. Today, we will talk about Spring. 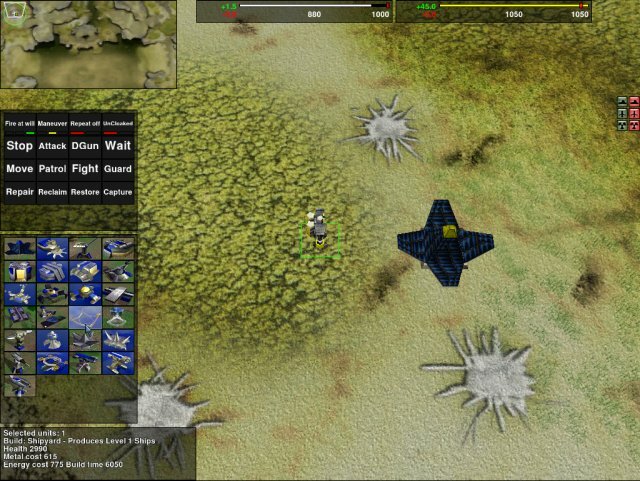 Spring is a free, full 3D, open-source game engine, designed to run a large collection of real time strategy titles build using the engine. 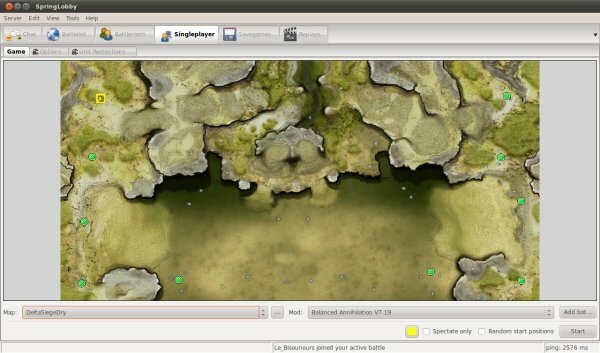 The software includes a game lobby, where you can setup single and multiplayer games, chat with fellow games, download mods and maps, and a few more tricks. So all combined, Spring is a game portal, the underlying technology and a handful of fast-paced Command & Conquer style games. Worth your time? Well, this article will show you exactly that. I must admit that Spring sounds a little overwhelming, because there's too much information you need to digest. Unlike a typical game, which is a single download, single installation, straightforward play, Spring is almost like a Linux distribution. You need to download the engine first, then add the extra components. The modular nature adds flexibility, but it also increases the complexity. To make things worse, you can get Spring via the official website, there's installation from the official repositories, there's installation from unofficial repositories via PPA in Ubuntu, you can use djl to get the software, which is yet a third method of getting things, and then all of the games come from their own sources, including a varying level of availability, quality, ease of use, and more. All right, so I'll show you my linear progress with the setup first, then we will showcase a few games (mods). I installed the program using Ubuntu Software Center on my gaming instance. Then, I launched the game and got my first annoying error. The program complained about missing unitsync thingie. Google did not help me much. The library was where it should be, under /usr/lib/games and whatnot, however the program could not detect it for some reason. Then, I recalled my previous attempt to configure Spring using djl, which led me to discover leftovers from a Jaunty installation. After a thorough cleanup, Spring presented me with the first time use configuration wizard - and did so on every subsequent launch. I learned that I needed to manually create .springlobby directory, so the SpringLobby could cope with remembering user settings. Not really documented anywhere, more sort of a hunch and test. But then, the Lobby complained about outdated Spring and SpringLobby versions. I tried using PlayDeb to get the latest stuff, it didn't help. Then, I tried the PPA repository, and this time, it worked. And this, time you're almost ready to play. However, the saga does not end here. You're merely up to date with your software. Now, you need the actual games, which are called mods, and game maps, called maps. Luckily, you can download the missing components from within the Lobby. After the mods and maps are downloaded, you will need to manually copy them into the .spring directory in your home and then reload the list inside SpringLobby to detect them. Maps goes into the maps subdirectory and mods goes into the mods subdirectories, both of which need to be created by hand. A little irksome. 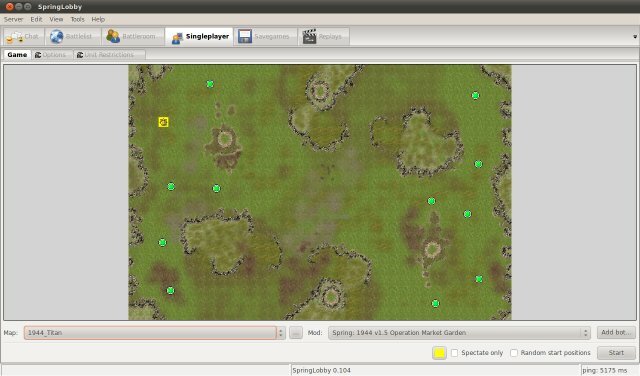 Once SpringLobby detects both the mod and the map, you'll be able to join games. Now, not all is rosy here, either. Most of the servers are empty. Furthermore, they all serve pretty much one or two types of games at most. Third, while I did manage to download additional games, some of these were not recognized by SpringLobby, although they did work in the singleplayer setup. Fourth, when I did try to connect, SpringLobby complained about NAT punching. Lastly, I did enter a few game setups, but I was forced to spectate because of my low rank. Thus, multiplayer was no go for me, unfortunately. I had to resort to singleplayer, fighting against bots. Relatively simple to setup. 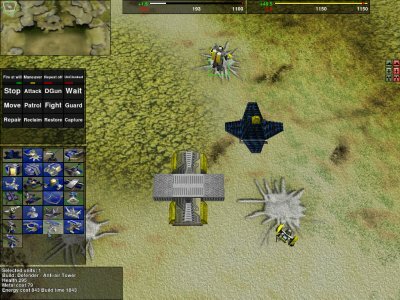 Choose your mod and map from a dropdown list, select if you want to fight against artificial intelligence and launch the game. Like I mentioned before, Spring:1944 does work here, but I failed to get it running online. Balanced Annihilation is one of the titles that actually worked for me. 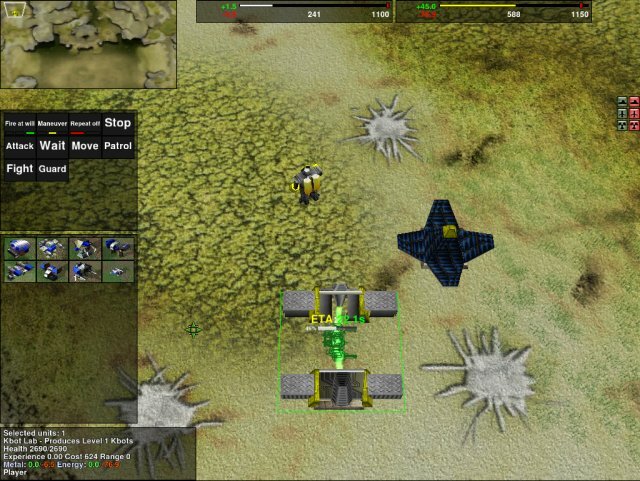 It does feel Command & Conquer like, although the commands are not too intuitive. The graphics level is somewhat disappointing, as you're not quite sure what you're doing. I realized I needed to place the miner buildings over the metal deposits, but they would not quite do that, so I ended up wasting all of my resources very quickly. There's no ambient music or anything alike, which makes for a fairly sterile play. About 15 minutes into the duel against a moronic bot, I gave up, as there was no thrill. I believe the online gaming would have been so much more exciting, unfortunately the technical difficulties prevented me from doing that. Thus ended my test. Spring technology is far, far from being mature and ready for the common gaming markets. The vast amount of preparation steps needs to get the game going, the bundle of glitches and errors and cryptic messages, the difficulty in getting the games downloaded and setup, all of these make Spring feel like an early alpha-quality concept rather than a true game engine. The potential is there, however it has not been tapped. My biggest disappointment is the high expectation I had. Having taken a look at the official websites and the lovely screenshots shown there, I was expecting a visual culinary blast, instead I was greeted with bland, late 90s graphics and a non-inspiring gameplay. Riddled with technical difficulties, Spring left a sour taste in my proverbial mouth. Now that I know how to handle the setup issues, future testing will be easier, but I'm not sure when Spring will become an exciting, marketable product. At the moment, it pains me to say, but Spring is not ready for prime time. Grade: 3/10. But hope shall not wither. Maybe in a year or so, I shall revisit my review. For now, the one true free RTS is still a dream.